Art Therapy Specialising in Beginners. People ask me, would sculpting make me feel exhausted. I say sculpting is the cure for exhaustion! discover it for yourself. Give it a go. Georgette now teaches privately Art Therapy in her tranquil garden setting at her studio and Art Gallery in Birkdale, Brisbane. Her on-going classes of Art Therapy are held every week. 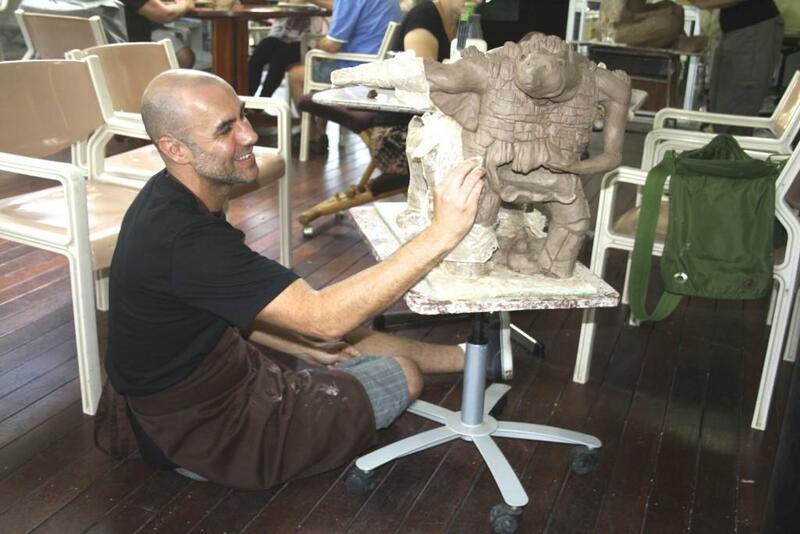 Teaching sculpture to students and helping them to create an original sculpture to decorate their home while relaxing, the student's learn to sculpt anything! 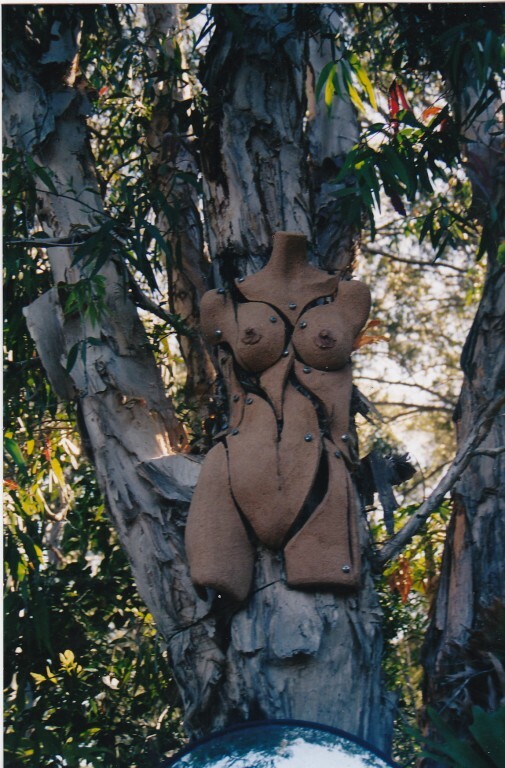 Sculpting is very therapeutic the most beneficial part you will derive from it, is its therapeutic effects, as its far more beneficial than sitting crossed legged contemplating your navel. Much more fun than just pottery or ceramics. 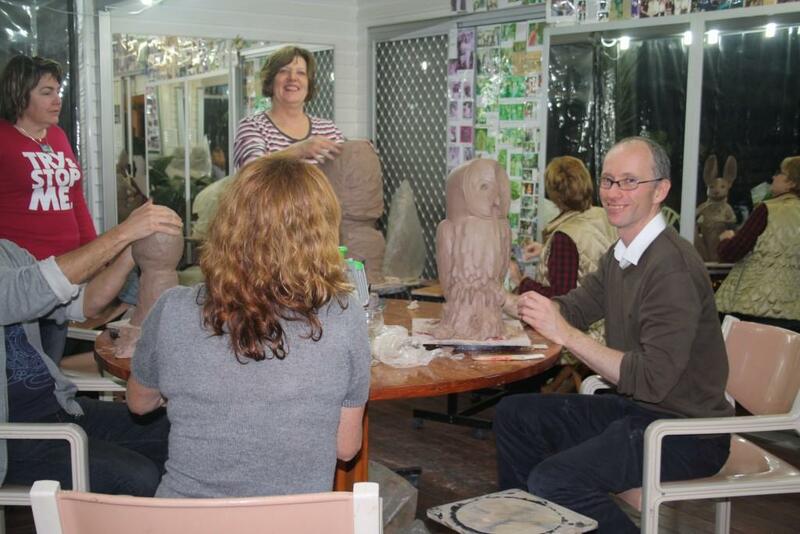 Sculpture Tuition is with small groups and lots of personal attention with a great atmosphere. If you would like to make a gift of Art Lessons to someone special, we can easily provide a Gift Voucher Certificate . $400.- for an 8 week tuition block, with all materials and tools included. Each session in duration of 3 hours with any message at no extra cost. Just a little hello to say I really enjoyed last Thursday, what a wonderful experience last Thursday night was. You create a lovely relaxing and yet professional environment that is so inspiring. Looking forward to next week. It was very enjoyable. How are you Georgette? 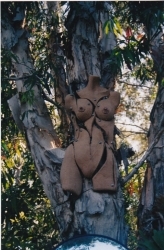 My sculpture has been delivered in Claremont and I love it so much. I'm not so sure whether I will colour it or not because it's so beautiful that I don't feel it's mine. However, it is going to be my reference and my teacher for a while. My husband likes it too so he wants to keep it in his study. As soon as he saw the sculpture, he said "Oh, that's mine" 🙂 I don't know how to thank you Georgette. You've been so good to me. I will miss your class so much and whenever I lose my confidence I will think of you saying "Don't doubt yourself, always think I can do this". Please say hello to everybody for me. I already miss my sculpture class. 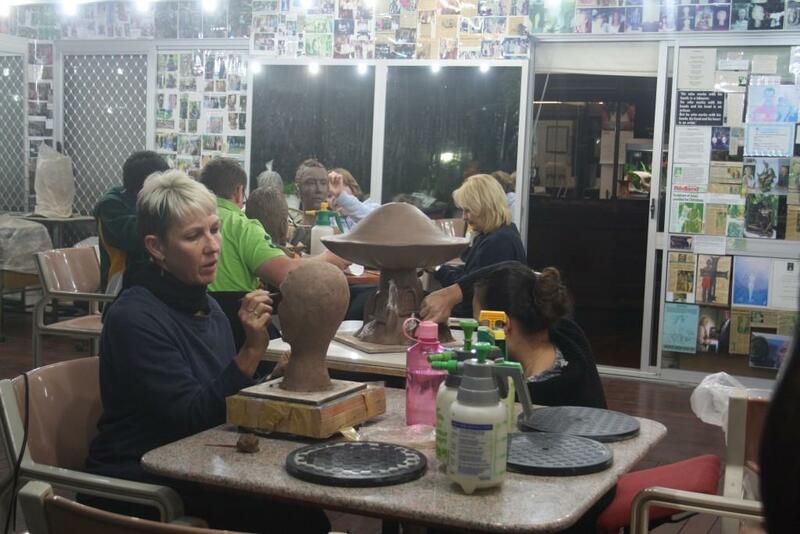 Students learn the practical aspects of clay sculpture from the foundation up. 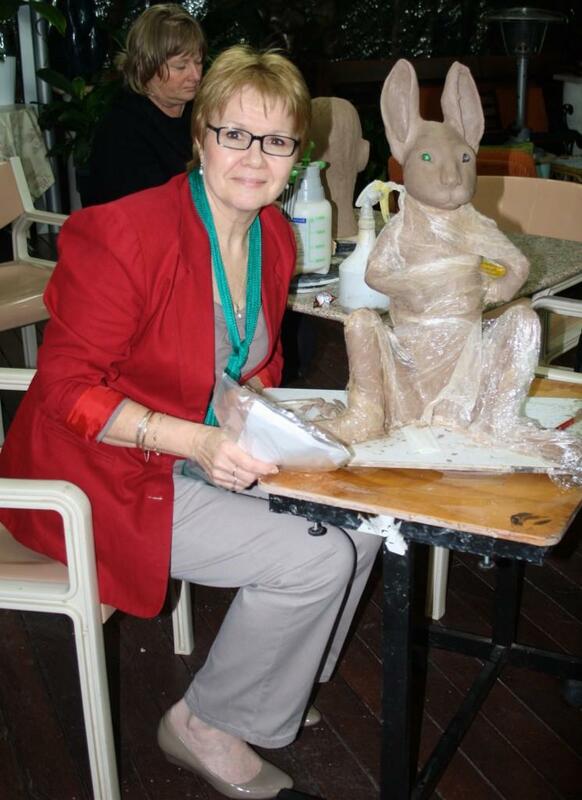 Guided by Georgette, students learn how to construct a solid clay base, develop the piece into a rough form, then to sculpt the clay into an image or composition of the student's choosing. 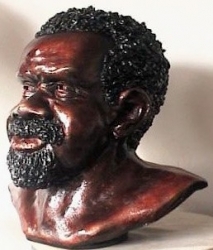 The skills learned in the early stages form the basis upon which anyone is able to use their own creativity to create an original work of art which surpasses any form of pottery or ceramics. All materials are supplied for the tuition. In today’s society, everything seems to be controlled by deadlines and pressure to perform, both at home and in the workplace. When under stress we self - medicate with food, alcohol, coffee and cigarettes. Living on adrenalin we then become irritable, inefficient, complaining and have trouble with sleep. A growing number of people, from housewives to professional workers are finding the need to relax and find an outlet for their emotions to be a necessity. More and more people are finding such an escape from the every day pressures. 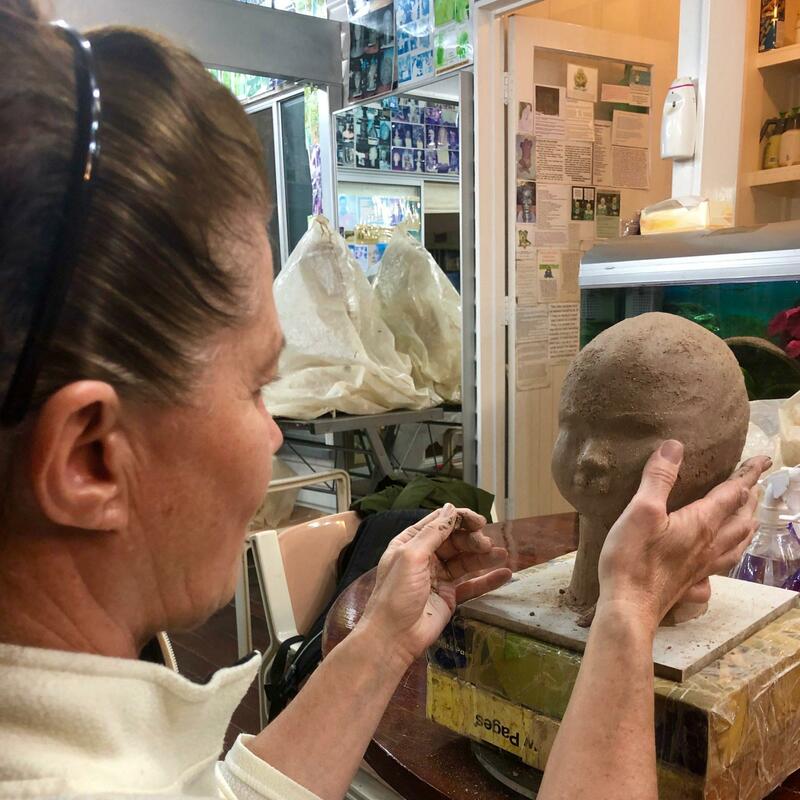 Every Thursday, for three hours, they find their way to a beautiful relaxing, Feng Shui Garden In Birkdale, where they relax in good company and learn the art of sculpting. 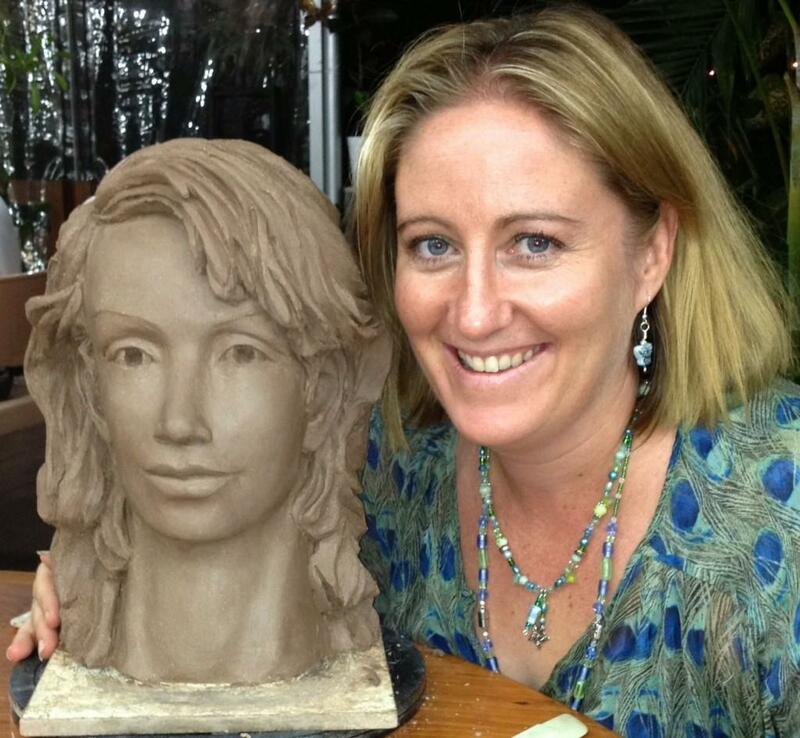 People from all around Australia, the US and England have taken the sculpting courses, where they are tutored by Brisbane Sculptor Georgette Schwantes. Some of the students have found that the beautiful surrounding and good company are so therapeutic, they keep returning for several years. The very act of creating something that they can treasure from a block of clay, gives them a wonderful sense of achievement. The garden surroundings and the company of like minded people has proven to be a creative panacea to the world in which they live. Classes are held in the studio every Thursday, with morning, afternoon and evening sessions. Each class takes three hours and a typical eight week Tuition block of sculpting includes one session per week over eight weeks. Tuition blocks start whenever you want and run for 8 consecutive weeks. 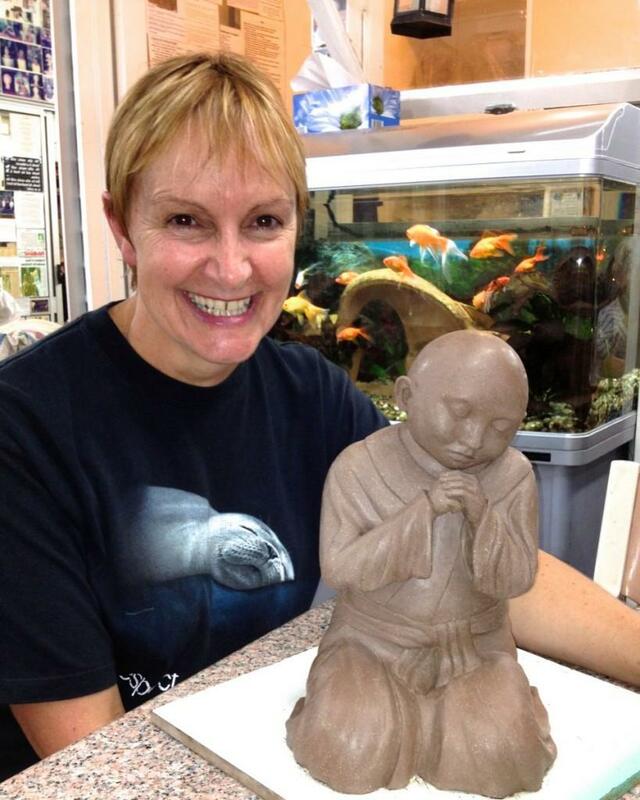 Classes are held at Georgette's Studio in Birkdale in the Redland City Shire. Contact Georgette on 07 3822 7668 or 0403 128 380 for more details. 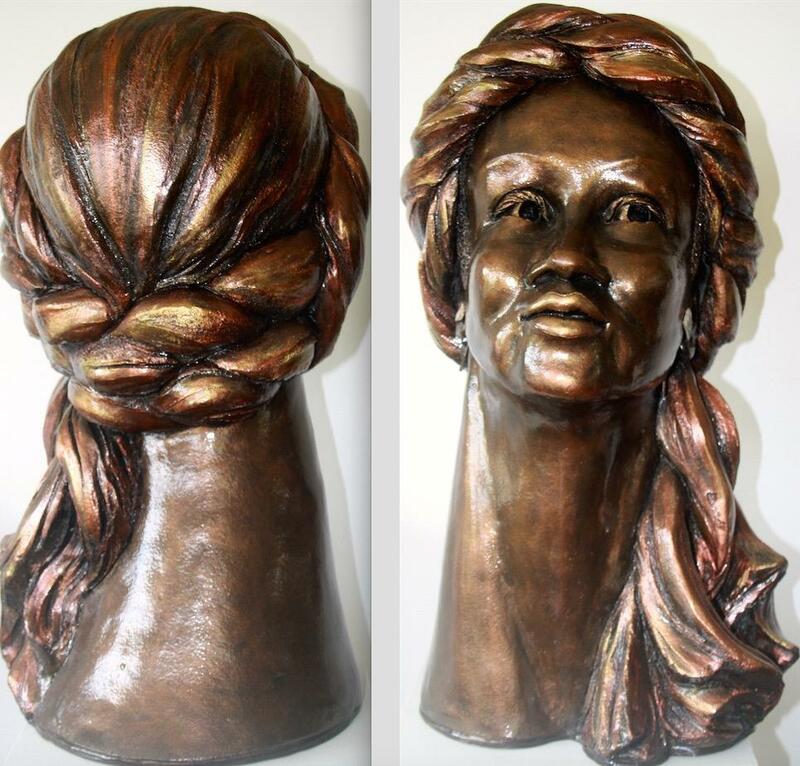 At the end of the completed sculpture the student will have sufficient skills to build upon and off course, have an original piece of art sculpture that will be far more enjoyable than a piece of pottery or ceramics to proudly display in their home.